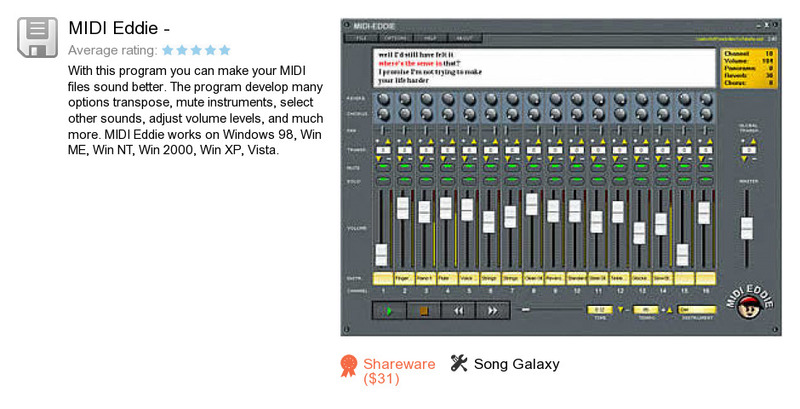 MIDI Eddie - is a program developed by Song Galaxy. We know of versions 1.4, 1.2. Version 1.4.1.1400 is available for free download at our site. MIDI Eddie - distributive has a size of 3,264,993 bytes. Song Galaxy also publishes MP3 Key Changer and Multi Tracker.